HomeWater Damage Fire & Smoke Damage Flood Damage Flooding Damage Insurance Coverage Do You Have a Home Inventory Checklist? A home inventory checklist is a document that states all the valuables and possessions in your home or business. Why should you keep a detailed record of this? There are many “what if” scenarios where you would need such a document. On top of that, all insurance companies urge clients to keep an updated list just in case something does happen. A fire destroyed your home? A flood damaged your property? A robbery occurred while you were away? Are you prepared to handle the insurance claims process after these happen? If not, a home inventory checklist is a must-have to expedite this process. It can help you figure out the insurance package(s) you should buy, speed up the claims process and help verify any losses for tax returns. Everyone over the age of 18 who lives on their own should have a record of their personal possessions. Even students in dorms and renters can benefit from proof that their valuables exist. The basics of a home inventory checklist include the make, model, serial number, value and purchase date of your property or valuable item. The serial number may only be applicable to certain kinds of property, such as computers, appliances, or other types of electronic equipment. Don’t leave it to memory: The easiest way to make a comprehensive, thorough list is to physically go to each room in your property and document any valuables that you have. Although you may think you can recall these from your memory, it’s not worth it. Forgetting even one item on the list could cost you down the road. Save receipts from big purchases: If you purchase something of value for your home or property, make a list with information from saved receipts. That way you don’t have to estimate items’ values and/or dates of purchase. This is also better proof for your insurance agent if you’re hoping to replace those items. Update frequently: Whenever you make a big purchase, add it to the list. It’s easier to keep updating the list than completely re-do it. Take pictures and video: Insurance companies encourage you to visually document all valuables in your home. Photos and videos provide hard evidence that the property you are claiming to have on your list exists. So, take advantage of your smart phone camera, and save the evidence on a hard drive that is portable (i.e. NOT on the computer you’re claiming on your home inventory checklist!). 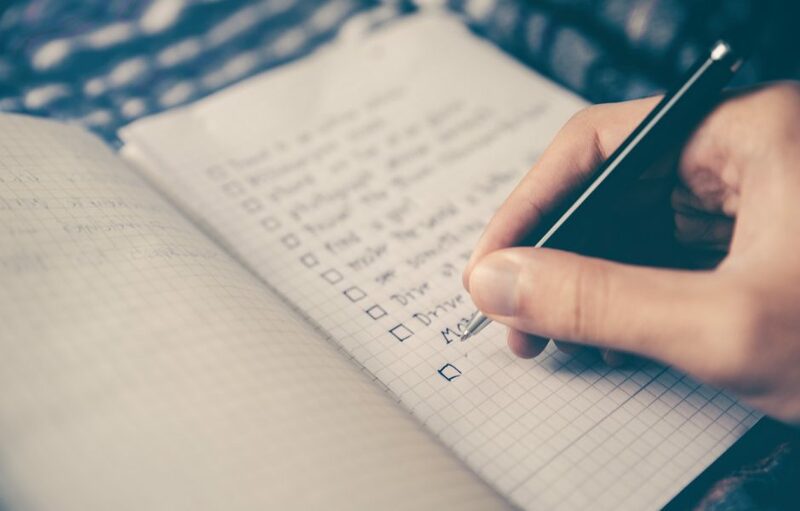 Store the checklist and all visual evidence outside of your home: A home inventory checklist is no good when it also gets destroyed in a flood or fire. This is why you should keep a checklist and photos away from the valuables you would claim. Also, make multiple paper or digital copies and store them in a safe place. One option is to buy software: There are many reputable home inventory list software packages out there for purchase. These are completely digital, and they let you store photos, videos and other proofs of purchase along with providing you a list template to use. Another option is to use a free digital template (if you’re old-school, click here to download a printable version). Although purchasing software is ideal, it is extremely easy for you to create your own for free. Be sure to put any photos and copies of receipts in the same digital folder that contains your list. Regardless of your method of inventory, be sure to talk with your insurance agent to discuss what they require with regard to insurance claims. Along with restoring your valuables with the checklist, it is also important to restore your property to pre-loss conditions. At ServiceMaster Advantage, we ensure the highest quality of restoration services in the industry. If you have that home inventory checklist, we got you covered in the Houston, TX area.